Bronson and Valhalla Rising are films that emphasize and try to create heroes. In the former, Tom Hardy depicts something like “the most famous prisoner of the U.K.,” Michael Peterson, best known for his alter ego, Charles Bronson. Horrorshow and ultraviolence, Bronson is nothing but the Alexander DeLarge of A Clockwork Orange for modern times. The film displays an interesting narrative structure. Its linearity is crossed by a sort of monologue by Bronson, made up like a clown, on a stage, the floodlight around him, addressing an audience, telling them the troubles he has endured. 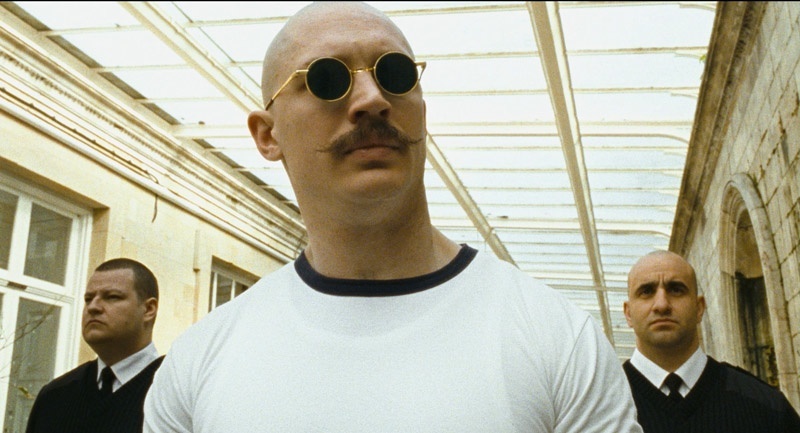 Hardy proves to be a good actor and Bronson a charismatic convict. A spellbinding sequence occurs when the patients of Rampton Secure Hospital begin dancing to Pet Shop Boys’ It’s a Sin. 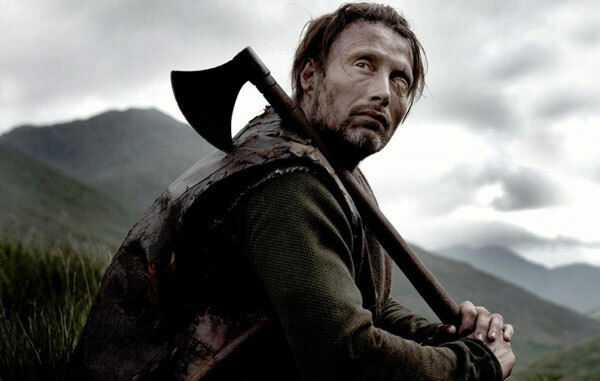 In Valhalla Rising, the partnership Refn-Mikkelsen is explored again. Mikkelsen, addressed as One Eye, portrays a prisoner (formerly a warrior), a slave, actually, who lives enchained and is fed like an animal. The film may amaze because of its violence, but religion and religiosity are other spectra of this ancient world. Cinematography and locations are the highlights of the Valhalla Rising, with a great performance by Mikkelsen as well, who does not speak a word throughout the film. The last two films in the filmography of Nicolas Winding Refn are films in which the director has reached a higher level. In Drive, Refn tackles neo-noir, with a leading character that a priori has no name (played by Ryan Gosling). This triggers a cinematic reference to Clint Eastwood’s Blondie in the Dollars Trilogy. 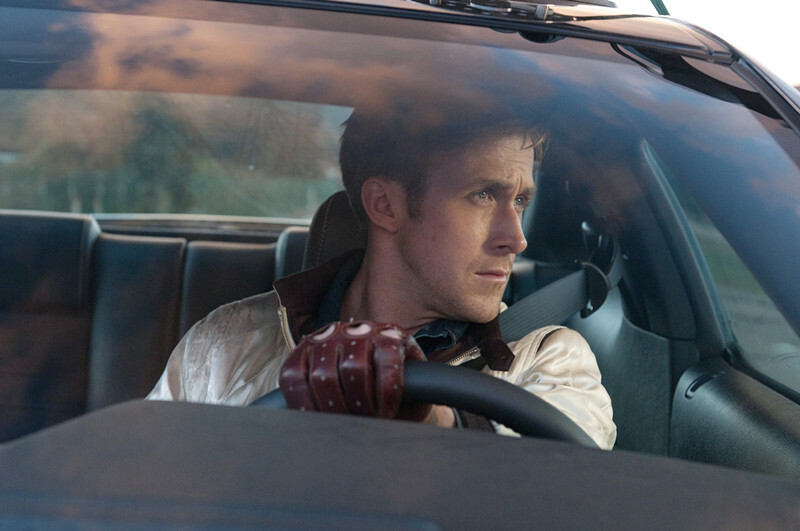 The films even share something in common: Blondie is quick on the trigger, whereas Gosling’s character drives fast cars. He is an ordinary man, working in a garage and even as a stuntman in films and covering someone else who’s more important. However, the action of the film is provided by heists followed by getaways by car. Always with a toothpick in his mouth and a jacket with a scorpion design on the back (the scorpion is used as a metaphor or as a reference at least twice in the film), Gosling’s character is a lonesome man, hardly talks, but he seems to have a kind heart. He has a warm relationship with his next door neighbor, Irene (Mulligan), a mother who is waiting for her husband, Standard (Oscar Isaac), who is in prison. Drive is a film that seems to be carefully measured, as if it were a model done by an old man, expert in his métier. The handheld camera is left behind and the shots are more static. Refn seems to be more mature, more cautious. Prior to the infamous henchman’s head smash in the elevator, for instance, Refn, with the camera placed outside the elevator, shows us three people in it. The elevator door closes and it takes some seconds before the next shot inside the elevator. Accordingly, it is fantastic the way Refn dims the lights in the elevator, like a theatrical device, increasing not only the tension caused by the imminent threat and oncoming attack, but in preparing an environment, in slow motion, where Gosling’s character kisses Irene (Mulligan). The improvement of Refn’s style in Drive can be experienced in Only God Forgives, Refn’s best film so far. In Only God Forgives, it is possible to notice the precision and meticulousness of the shots and camera movement, the use of color (unusual, knowing that Refn is colorblind) and lighting, the overwhelming performances of Ryan Gosling and Thai actor Vithaya Pansringarm, the sophistication of the themes, be it family or violence. Furthermore, the soundtrack of Drive also calls for attention: a mix of pop with electronic music that permeates key moments of the film. Only God Forgives, Refn’s latest film, can be considered one of the most stylized films of the decade. The colors (mainly the blue and red palettes), the lighting, the pacing of the shots, the editing, the great performances by Ryan Gosling (Refn’s new Mikkelsen? ), of Vithaya Pansringarm (whose character can be at one and the same time bloody bad, annihilating his enemies with his sword, and gentle, singing karaoke in his leisure time), and of Kristin Scott Thomas, who portrays the possessive mother of Julian (Gosling). As previously mentioned, the film tackles the theme of family, with the triad of son-brother-mother. Shot in Bangkok, Only God Forgives is a thriller produced as a Western (in this case, an Eastern), according to Refn. The film has two major filmic tips, in what regards filmic reference: Gaspar Noé for his idiosyncratic use of violence (he visited the set in Bangkok, so the IMDb trivia informs); and Alejandro Jodorowsky, to whom the film is dedicated. Jodorowsky is another filmmaker who explores violence in his films. 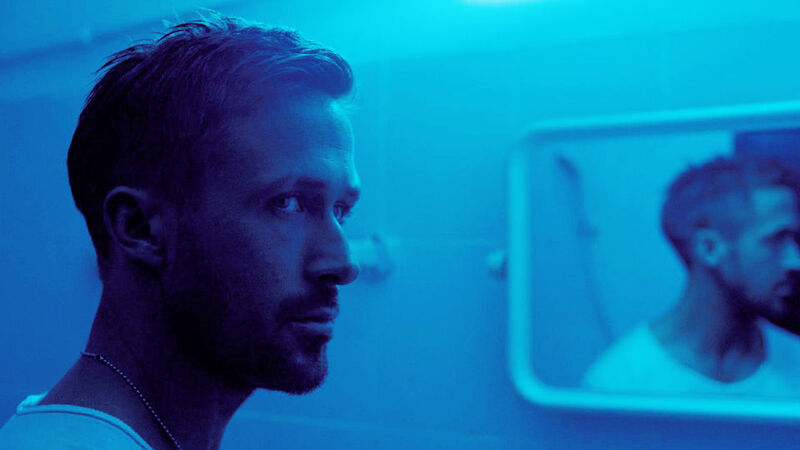 If Refn went berserk in Only God Forgives, violence only made him a visionary filmmaker. If the films directed by Refn were to be ranked, Only God Forgives should come first, followed by Drive and the Pusher trilogy. Then, maybe Valhalla Rising and Bronson or Bleeder, and then Fear X. The status of Refn as an auteur is already certain, we can only wait for more. Author Bio: Matheus Massias is a Brazilian MA student who is working on the Coen Brothers’ oeuvre. He is addicted to lists since an early age and tries to follow Truffaut’s formula of three films a day and one book a week.